This is my current project. The Butterfly Bowling Club. 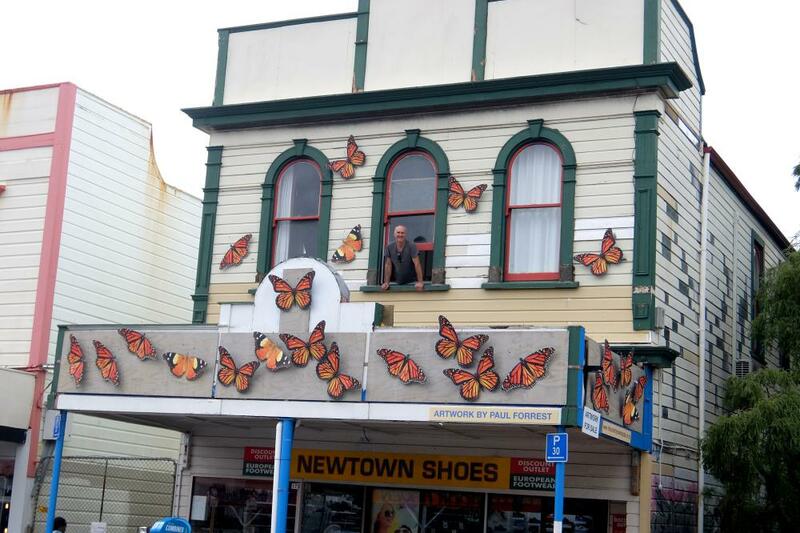 As of March 11th 2019 we have a kaleidoscope of 23 aluminium butterflies landing on Newtown Shoes building cnr of Constable and Riddiford Street in Newtown, Wellington. 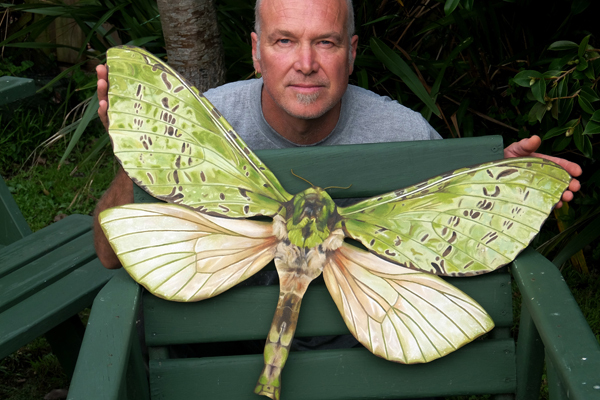 Go to www.the butterflybowlingclub.co.nz for details. Oil on wood now in a private collection. 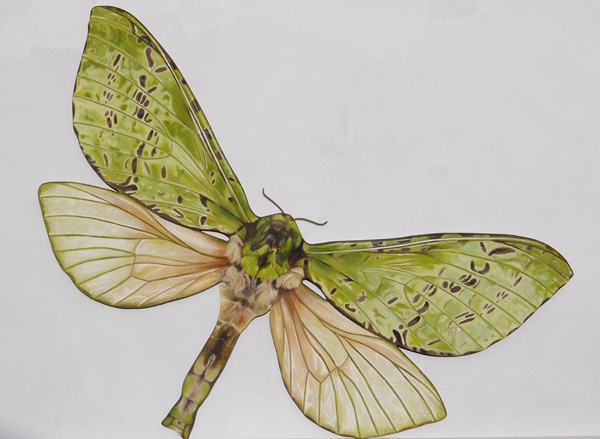 These works adorn the entranceway to a garden filled with plants that attract and feed moths and butterfles. I have a lovely courtyard beside my studio at the back of my garden.